Spa Zuiver – A pure delight. Spa Zuiver is a modern spa in the Albus Hotel, located in the Amsterdam Forest. Spa Zuiver offers a selection of large baths in the Greek and Roman style, including an aromatic bath, a swirling whirlpool, a plunge pool, a cold waterfall, a traditional swimming pool and a hot tub. The spa also offers an Oriental bath ritual known as Hamam, which focuses on relaxation and purity inside and out, and starts with a long soak in a warm bath, followed by a full body wash and massage with olive soap and scrub. Spa Zuiver also has two caldariums, or heat chambers, one in the old Roman style, and another known as the Salt Caldarium, which utilises Himalayan salt to enrich the experience. In addition, there are six saunas on the property, a Finnish sauna, a steam bath, an open hearth sauna, a music sauna, a colour therapy sauna and an infra-red sauna. Spa Zuiver, Koenenkade 8, 1081 KH. Tel. : +31 203 01 07 00. Koan Float – Salt water float. Located on the Herengracht, in the historical centre of Amsterdam, Koan Float offers a unique way to escape the hustle and relax – by suspending yourself in a pool of deliciously warm salt water, and letting your cares melt away. Floating, or Floatation REST (Restricted Environmental Stimulation Therapy), is designed to alleviate mental and physical stress. The water in the floating cabins is kept at 35.5 degree Celsius, and the environment is specially designed to eliminate outside distractions, allowing the body to focus its energies on returning to its optimal state of balance. There is also a wide range of massages on offer, including the more traditional spa offerings such as deep tissue, hot stone, and relaxation massages, as well as more exotic choices, such as Boja massage (combination of classical western massage and eastern massage), Escalen massage (inspired and influenced by the rhythm of ocean waves rolling to the shore) and Agama massage (performed on an agama cushion which is filled with warm water to stimulate circulation). KOAN FLOAT: Float & Massage Centrum, Herengracht 321, 1016 AW. Tel. : +31 205 55 03 33. Aveda Lifestyle Spa – Best day spa treatments. Directly beside the Olympic Stadium is where you can find the Amsterdam home of the internationally renowned Aveda Lifestyle Spa. All of Aveda’s natural products are designed based on the idea of the secular wisdom of life known as Ayurveda. Aveda Amsterdam offers the same products and services as its sister spas around the world, including hair styling, body treatments, facials, massages, spa treatments, manicures and pedicures. One spa treatment which comes highly recommended is the Wine Therapy treatment, which begins with an Aveda smoothing body polish and is followed by a wine bath and finishes up with an essential oils massage. The Milk & Honey treatment is equally delightful, starting off with a honey and cane sugar body scrub, followed by a milk bath and short massage. Aveda Lifestyle Spa, Laan der Hesperiden 90, 1076 DX. Tel. : +31 207 94 93 66. Sauna Deco – Art deco relaxation. Inspired by the décor of the famous 1920s Parisian department store, Au Bon Marché, Sauna Deco definitely has a distinctively unique look. The central sitting area is ringed by beautiful stained glass windows, and a 1920s style chandelier casts its fey light across the lounge. Sauna Deco has a wide range of spa facilities, including a delightful Turkish steam bath, foot baths, plunge baths and a more traditional European sauna. 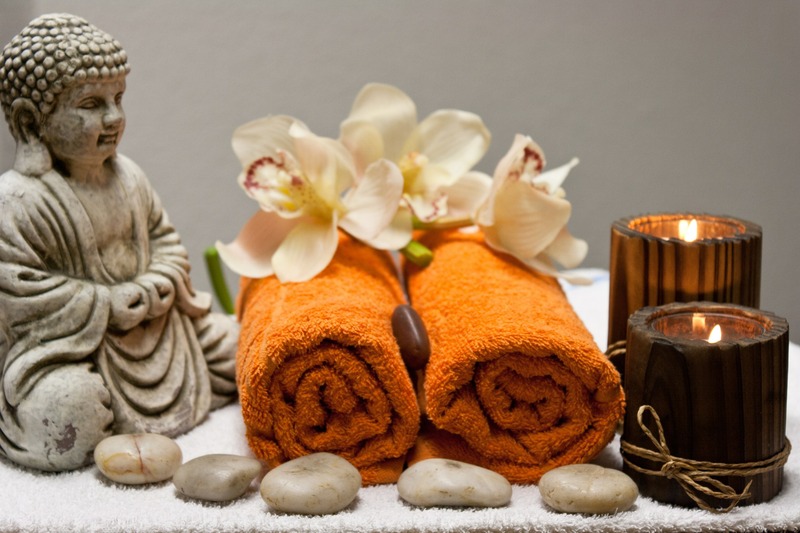 There is also a beauty salon which offers men’s and women’s facials, body wraps, and a range of massages, including a hydro massage, which massages and releases the body from stress through vacillating water pressure. Sauna Deco, Herengracht 115. Tel. : +31 206 23 82 15. Delight Yoga – Meditation and yoga. There are four yoga styles on offer at the studio, including Hatha, Vinyasa, Ashtanga and Yin, as well as a yoga therapy class, and a Pranayama and meditation class. Private sessions are also available and the studio runs master classes and workshops all year long. A single class costs €15 and there is a 10% student discount. Delight Yoga, Weteringschans 53, 1017 RW. Tel. : +31 204 28 10 91. Hammam – Traditional Turkish bathhouse. Located in the west of Amsterdam, this authentic healing centre would perfectly suit visitors seeking complete relaxation at an affordable price, focusing firmly on a fulfilling experience without the extravagant frills. Available only to women, the bathhouse utilises various water rooms of varying temperatures to rejuvenate the mind and body, and offers a selection of massages and treatments to suit every particular desire. An ideal treat for a group of friends, this soothing and incredibly welcoming environment guarantees a rewarding encounter, with friendly and skilled staff on hand to ensure maximum satisfaction. Hammam, Zaanstraat 88, 1013 RW. Tel. : +31 206 81 48 18.